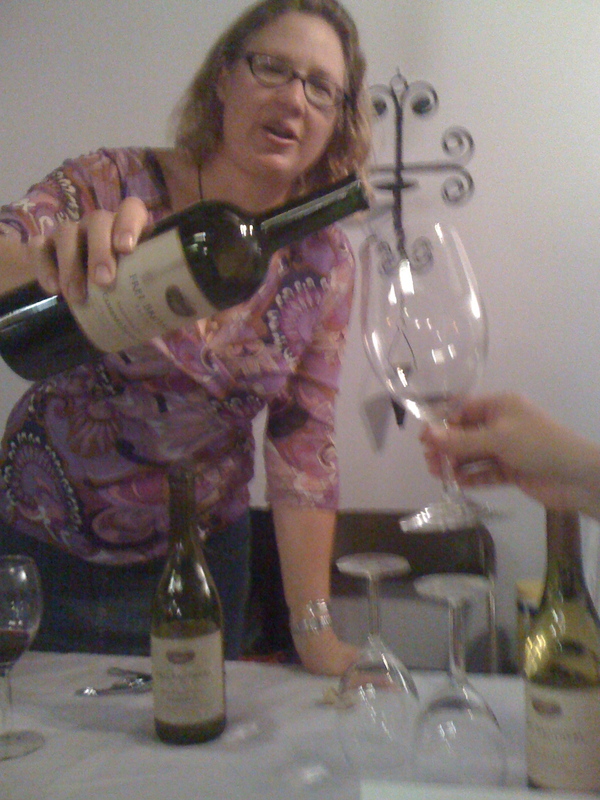 It seems to me that if a winery donates wine for an event, the wine should be respected: served in wine glasses by someone who knows a bit about the wine, and with information about the wine available. 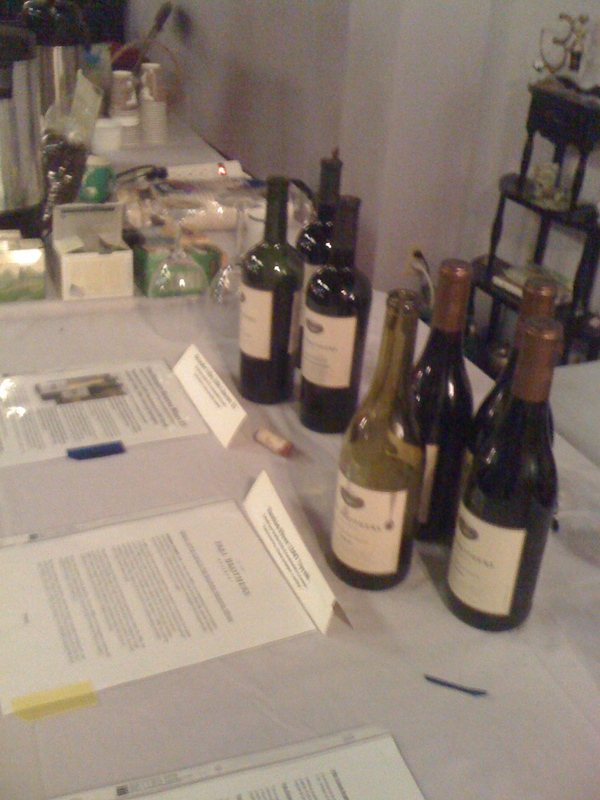 So when Frei Brothers donated several cases of wine to me to u se at various arts, cultural, and environmental events, I spent some time becoming familiar with the wine and producing materials for a display on the table for those interested in learning more. I would also be pouring the wine. The following are some of those materials that I developed for the VCCOOL Benefit Concert August 28 and for the Art City First Fridays Open House and ArtRide after party. 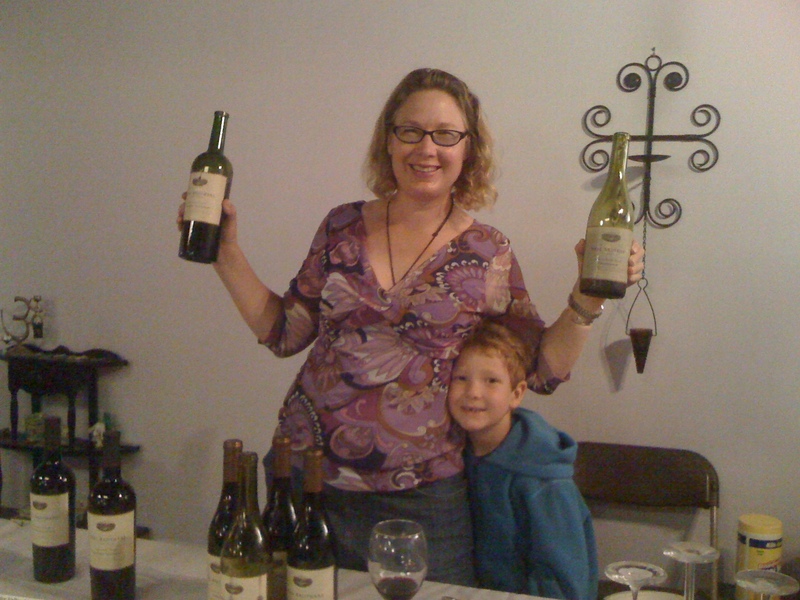 My information came from materials Frei Brothers sent, from their website, from my tasting notes, and from fellow blogger Rob Bralow in this blog post by which includes an interview with Frei Brothers Chief Viticulturist Jim Collins discussing specifics. How is Frei Brothers sustainable? This includes exceeding government regulations for wineries, setting aside an acre of land for every one planted with vines to protect the natural environment in which indigenous animals live, and working with local animal shelters. Sustainability is a big umbrella. Organic and biodynamic practices fit under the umbrella and can be easily defined. Sustainability goes even further and, in fact, is harder to commit to than being organic or biodynamic. We make choices that take into consideration our overall carbon footprint, and try to close the loop on all processes. When we buy steel for the vineyards, we buy recycled rail steel, instead of the cheaper imported steel. We try to take fewer passes in the vineyard, conserve water, reduce waste and energy usage and maintain good cover crops…carpool when we can, etc. We are very connected with the community and always keep the “big picture” in mind – we all live here and want to keep our home vibrant! we thank Frei Brothers for generously donating and shipping these wines. Soft and complex, 2008 Russian River Valley Chardonnay reflects its cool climate source with flavors of green apple, orange zest, and apple pie, which are complemented by buttery and toasty notes. Nutty and rich, the wine finishes with a silky, full mouthfeel. Crafted in a gentle, traditional style enhanced by the use of modern techniques to produce a wine that is both varietally accurate and reflective of the terroir of the Russian River Valley, Frei Brothers Winery Chardonnay grapes are whole cluster pressed to eliminate bitterness and maximize fresh fruit characters. The wine completed malolactic fermentation. The signature cooling maritime influences of the Russian River Valley serve to balance its warm days with cool, refreshing evenings and fog-cloaked mornings. This unique microclimate allows for the slow and even maturation of fruit which reflect this great Sonoma terroir. Yields were slightly lower than previous vintages, but the result was fruit of excellent quality with intensity and depth. Sauvignon Blanc grapes are whole cluster pressed to maximize fresh fruit characters. After fermentation, a portion of the wine was aged sur lies for two months to add layers of complexity. The entire gentle winemaking process results in a Sauvignon Blanc that is true to its varietal character and brings out the best of the terroir that the Russian River Valley has to offer. Lively acidity is complemented with aromas of citrus, melon, and fresh cut grass with hints of vanilla and cream. The aromas extend through to the palate and culminate in a crisp, light, enduring finish. The 2007 received 90 points from Robert Parker. Unique amongst Sonoma County’s AVA’s, the Alexander Valley is not nearly as influenced by the cooling maritime breezes as the Russian River Valley or the Dry Creek Valley. Instead, what typifies this appellation is its endless sun drenched days, which contribute to creating the Alexander Valley’s signature concentrated Cabernet Sauvignon style. By the end of harvest, the 2007 wine grape crop was much smaller than in previous years but the quality was exceptional. The grapes for our Cabernet Sauvignon were gently destemmed but not crushed, sending a significant number of whole berries to be fermented. The must received 8-10 days of skin contact to extract intense color and flavor before it was inoculated with D254 and Bordeaux yeast strains. After primary fermentation, the wine completed malolactic fermentation to soften the acid structure and to add complexity. Retail per bottle $20; Sustainably Grown! Retail per bottle $18; Sustainably Grown! By the way, $1000 was raised at the VCCOOL Benefit Concert, nearly $200 from wines by the glass!